From vinyl siding in Minneapolis, MN to roof repair, you can count on us! Our experts on doors, gutters, windows, roofing and vinyl siding in Minneapolis, MN make sure your home is beautiful and reliable! Our exterior contractors in Minneapolis, MN specialize in vinyl siding, roofing, door, window and gutter repair! Keep your home at its very best! Schedule your free Minneapolis vinyl siding estimate today! In some cases, roof repairs in Minneapolis, MN just won’t solve the problem as completely or affordably as homeowners need to feel comfortable and confident in their home. In many of these cases our professional roofing contractors in Minneapolis, MN will advise roof replacement to Minneapolis, MN homeowners as a more surefire way to get the roof your home needs to be beautiful and dependable for many years to come! Small amounts of damage occur to your roof all the time from natural forces like high winds, strong precipitation, and even the heat of the sun’s rays. All these forces can, over time, result in damage to your home’s roofing system causing minor damage to your roof’s shingles or sealing. When this occurs it’s important to promptly contact professional roofing contractors in Minneapolis, MN to get the damaged roofing removed and have new, matching roofing materials installed in its place. If this isn’t done soon after the damage occurs homeowners run the risk of having more damage develop in the surrounding area. Fortunately, these types of roof replacement in Minneapolis, MN can be performed quickly and affordably by professionally trained Minneapolis roofing contractors here at FX Remodeling & Exteriors. 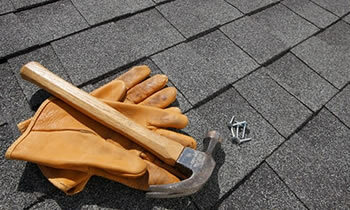 Whether your home is suffering from a highly compromised roof or you’re simply interested in giving a brand new look to your property with a different style of roofing system, our professional roof replacement services in Minneapolis, MN have the perfect solution for your home’s particular roofing need. If you’re interested in finding out more about the benefits of roof replacement in Minneapolis, MN contact our knowledgeable and highly trained Minneapolis roofing contractors today to receive a free Minneapolis siding consultation and estimate!